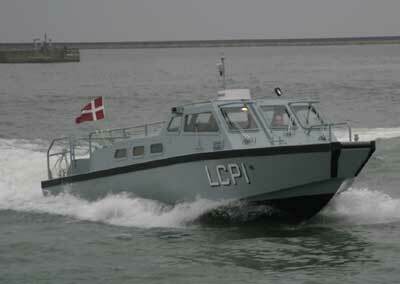 The first landing craft, LCP1, is here seen during sea trial at Naval Base Frederikshavn. These crafts are to be used as fast landing crafts from the Command and Support Ships of the ABSALON Class. 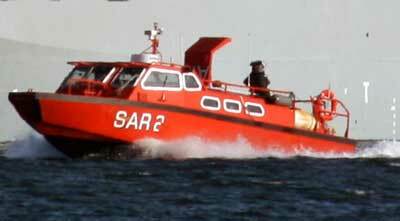 The crafts can carry ten fully equipped soldiers or four stretchers. 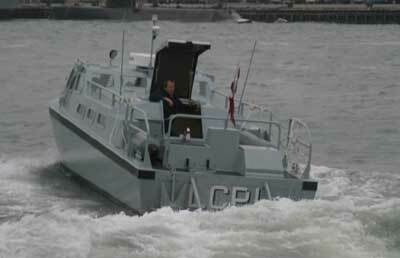 The vessels are very similar and based on the construction of the Swedish fast attack craft, type SRC 90E. The arctic offshore patrol vessel KNUD RASMUSSEN will be fitted with one similar vessel, but equipped as a Search and Rescue Vessel. 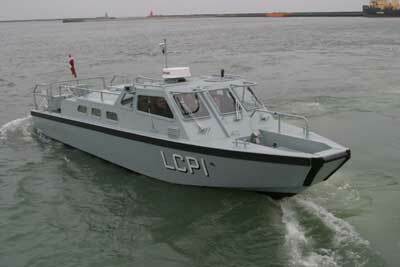 A front view of the landing craft, notice the front gangway.